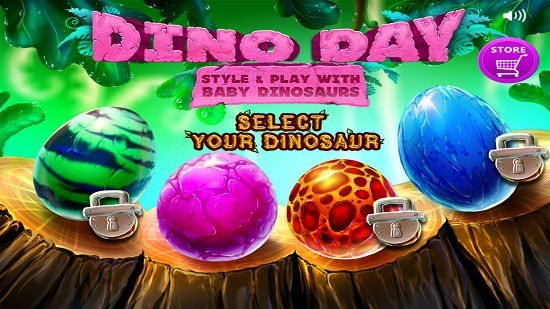 Dino Day is a free app for Windows 8 and 8.1 designed for kids which allows you to style and play with baby dinosaurs. 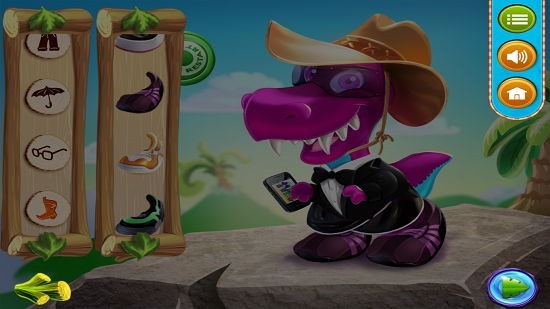 When you run the app on your device, you will be presented with an interface which allows you to select the dinosaur which you wish to play with by clicking on an egg. 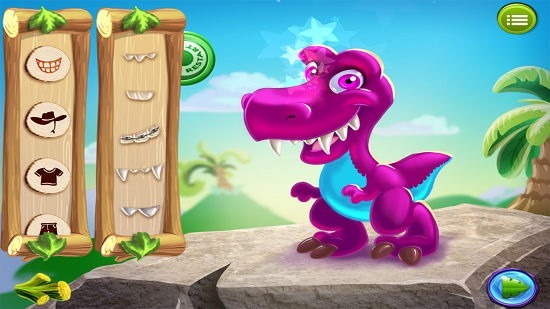 Once chosen, you will be taken to the Dino styling screen and upon doing so you can then select the scenes in which you wish to play with your baby dinosaur. 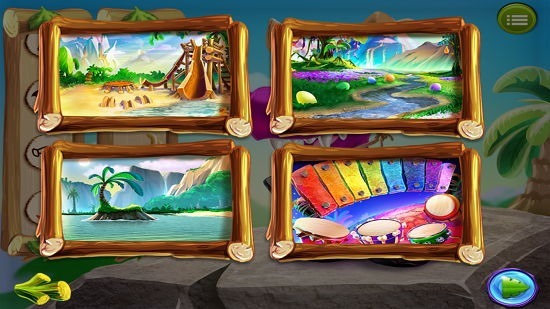 There are four scenes which you can choose from. The app has really cute graphics but is a bit heavy on size, so you might want to give it a pass on internet connection with limited bandwidth. 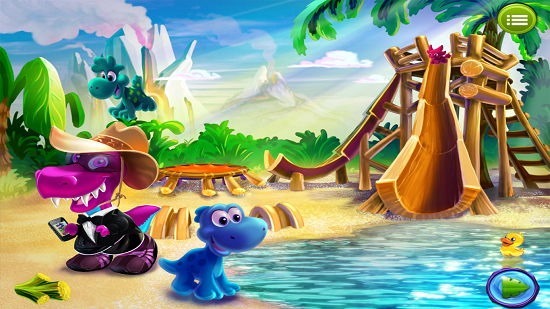 Dino Day is available for free from the Windows App Store. When you run the app on your device, you will be presented with an interface which looks like the below screenshot. In the main screen of the app, you can click on an egg to choose your baby dinosaur. In the free version, only the pink egg is available and you can click on it to select your dinosaur. Once chosen you will be taken to the dinosaur styling screen which can be seen in the screenshot below. You can choose the accessory that you want to style your dinosaur with at the left side of the screen. Once you have done that you can choose the item in under that accessory type from the vertical bar right next to the bar at the left side of the screen. Once your dinosaur has finished being styled, it will look somewhat like the screenshot below. Now you can click on the arrow button at the bottom right of the screen to choose from the four scenes in which you wish to play with your dino. 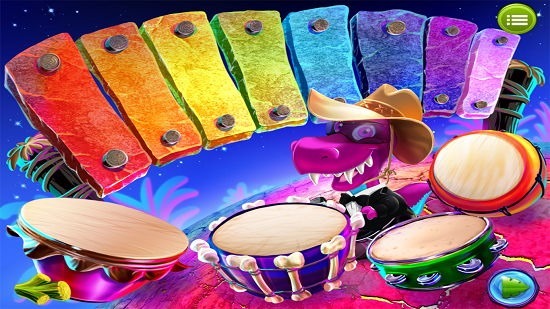 The fourth scene is an interactive music level where you can click on the drums and xylophone to actually play and hear their sounds. Similarly, the other scenes are also interactive where you can click on objects to interact with them. They are shown below. You can also toggle the game’s settings by clicking on the options button at the top right corner of the screen. You can choose to toggle the sound or go back to the home screen of the app via these options. 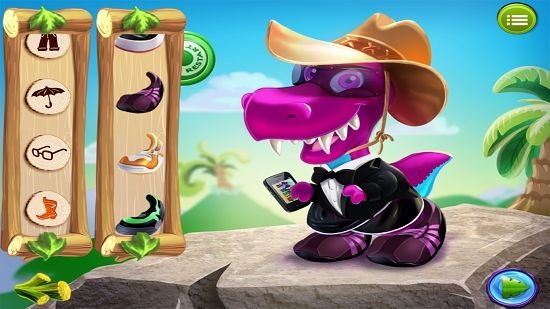 This sums up the main features of Dino Day for Windows 8 and 8.1. Dino Day is a well-designed app for Windows 8 and 8.1 which makes for a good download and will definitely keep your kids entertained. You can grab it for your device from the link below.